Birds with flappy feet that are Gatorade blue. Coves where baby sea lions swim beside you in the wild. The widest whitest beaches you’ve ever dug your toes into. Penguins! Shall I go on? 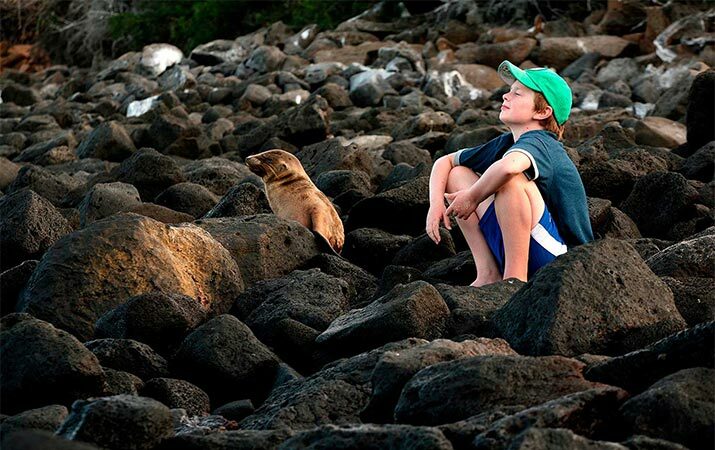 When parents ask me to recommend the coolest vacation venue for their families, my go-to answer is the Galapagos. In every way—climate, wildlife, multisport activities, pure fun and memory making—these famous islands deliver everything you want in a family vacation (and about a hundred times more). You walk with the animals. In the Galápagos there are no moats or railings between you and the wildlife. Your kids and you are in the environment, up close and personal with giant land tortoises, sea lions and the rest. Exploring with a naturalist guide, you’ll find yourself outnumbered by outlandish creatures. There’s really no place like it anywhere else on earth. You all get smarter together. You know the rule: Never tell a child (or most adults) that a trip will be educational. But in these islands, without thinking about it for a second, you will all expand your minds. You can’t spend time there without bumping happily into biology, climatology, volcanology, and even the psychology of what life is like for the local people who live in the Galápagos. 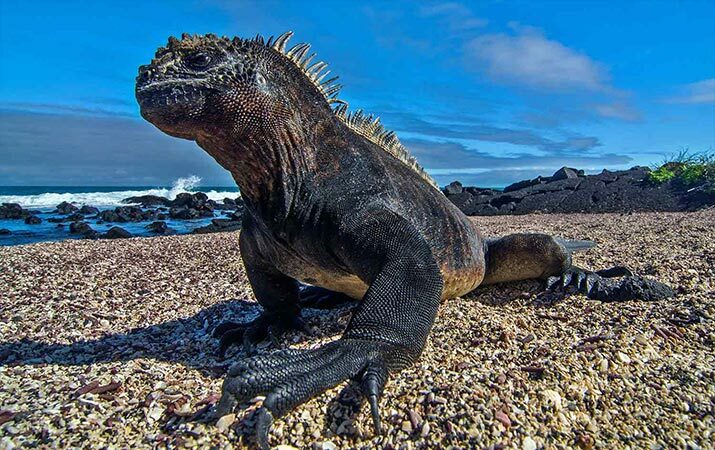 It can stay your own little secret, but the Galápagos is fun…and good for you, too! It’s awesomely off the grid. These days, it’s too easy to spend time staring down at smartphone screens. You should know, though, that WiFi doesn’t reach pirate caves, marshes where flamingos wade or a family-run coffee plantation in the heart of a Pacific island. The heads-up time encourages connections. Honest: it’s a relief to lose the urge to check your phone every five minutes. You’ll feel free as a blue-footed boobie. That’s especially true on our island-based trip, where you stay in luxury eco-lodges instead of in cramped cabins on a cruise ship. After action-packed days, you’re at liberty to explore Sandy street villages, walk the beach, or sip an adult cocktail at sunset while the kids hit the pool. Everybody in your family gets to discover the true nature of fun, however each of you defines it. Thanks to See the World contributor Edward Piegza, founder of Classic Journeys.